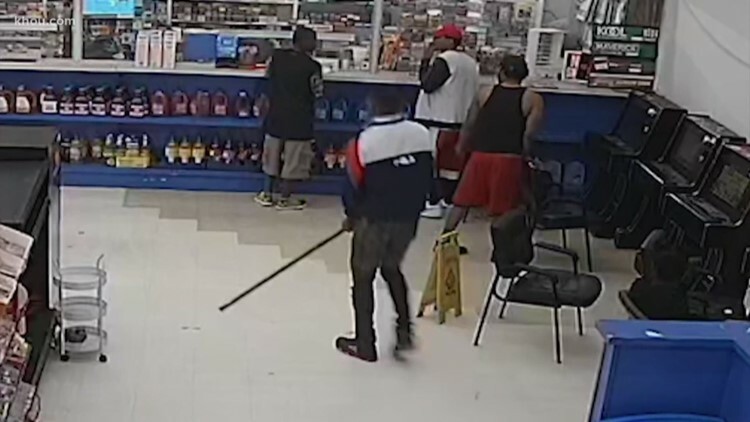 One witness told Houston police he heard the man carrying a large stick or wooden dowel say the man he beat with it owes him money. HOUSTON — A man died after police say he was beaten with a large stick overnight. A witness and friend of the victim told police the incident was over $15 the victim owed the suspect. The suspect was wearing a white, blue and red FILA jacket and was driving a gray 2006 to 2008 Dodge Charger. It happened inside a food store on Liberty Road near the Eastex Freeway in northeast Houston. Police say that suspect walked inside the Liberty Food Market just before midnight late Tuesday and struck a man at the counter in the forehead. As the victim staggered away, police say the suspect struck him in the head again, and the victim collapsed. A few minutes later, the suspect and two other people carried the victim outside. People from the neighborhood performed CPR on the victim, who later died at LBJ Hospital.